Mercedes-Benz vehicles have long been known for striking just the right balance between elegant design and aggressive style. The 2019 Mercedes-Benz C 300 embodies this potent blend of styling characteristics. While competitors like the 2019 Audi A4 and the 2019 Lincoln MKZ don’t merit a second look, the 2019 C 300 will turn heads in every context. As with all Mercedes-Benz vehicles, the Mercedes-Benz C 300 has plenty of substance to go with its striking style. The 2019 C 300 is well-equipped both inside and out. It has an optional dual moonroof that allows in plenty of natural light while still maintaining an optimal level of discretion. Another unique option is the body-length panoramic roof, which gives the impression that occupants are riding in a convertible while providing protection from the elements. One of the most practical options on the 2019 C 300 is the power liftgate, which can be a real help if you have an armful of groceries or golf clubs. Appreciate true elegance by test-driving the 2019 C 300. Come into the Mercedes-Benz of Gainesville car dealership today. The interior of the Mercedes-Benz C 300 is stylish and spacious. An unmistakable aura of luxury is present throughout the cabin. The interior of the Lincoln MKZ is merely imitating luxury. While the Audi A4 might have a premium interior feel, the design is so bland that occupants won’t notice. The Mercedes-Benz C 300 further separates itself with unique interior features. The upholstery is a specially designed material that is as soft as leather, yet considerably more durable. The optional heated steering wheel ensures that drivers can keep their hands warm when it gets chilly. Every Gainesville-area driver knows that it can get quite hot during those long summers, so the available cooled driver’s seat is a popular option. Experience the premium interior of the 2019 C-Class by taking a test drive at Mercedes-Benz of Gainesville. Visit our showroom today. As important as luxury is for a premium driving experience, safety is even more vital. The 2019 C 300 gets top safety ratings thanks in part to its comprehensive airbag setup, which includes rear side air bags that are missing in competitors like the Lincoln MKZ. The optional Lane Departure Warning alerts drivers when they are drifting out of their lanes. The optional Lane Keeping Assist actually provides gentle steering inputs if necessary after the alert sounds. Feel the difference it makes to drive with peace of mind. Test-drive the 2019 Mercedes-Benz C-Class at the Mercedes-Benz of Gainesville car dealership today. If you liked the 2018 Mercedes-Benz C-Class, you’ll love the 2019 Mercedes-Benz C 300. Take the 2019 C 300 out for a test drive in Gainesville today. Modern luxury cars need to have an impressive lineup of technology in this day and age. The Mercedes-Benz C 300 more than lives up to this standard. In fact, it exceeds expectations. The 2019 C 300 offers unique tech features like an optional head-up display that shows speed, revs, the current gear, and more. GPS navigation is available on all trims, unlike competitors like the Lincoln MKZ and the Audi A4. The 2019 C 300 even has an optional hard drive, so you can save your music. Drivers in Ocala, Orlando, The Villages or elsewhere in the Gainesville, FL region can try the impressive tech features in the new Mercedes-Benz C-Class. Visit us today. Your 2019 Mercedes-Benz C 300 ownership experience awaits. 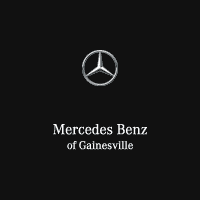 Mercedes-Benz of Gainesville will support this experience by picking up your vehicle when it’s time for a service, giving you a loaner vehicle and delivering your vehicle upon completion of the service. Come into our showroom today to learn more.